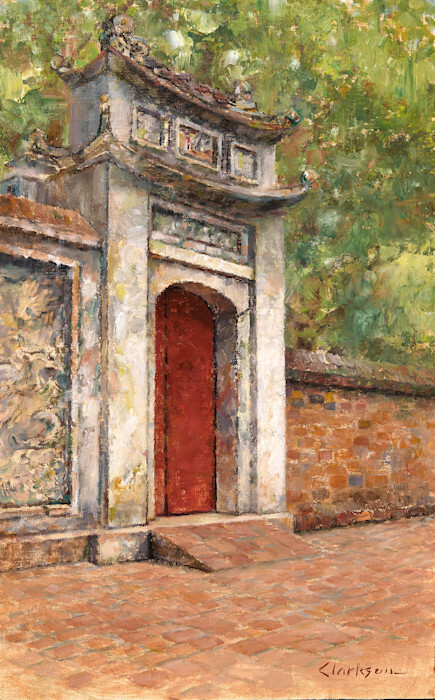 Oil on Canvas Panel, Framed Size is 16" x 22"
The ancient temple in Vietnam dedicated to Confucius is entered through red doors held within towering stone gates. The great Chinese teacher Confucius wanted to make education available to anyone willing to learn. He taught that all human beings can always improve and perfect themselves if they work at it.